But you must understand that blogging is not a “get rich quick” business. I cannot say that you should expect a certain income in (x number of) days. Brand new? Thinking about blogging? Make sure to read How to Start a Blog. The time that it takes to see an income varies greatly. However, I can give you a step-by-step guide that will have you making money with a blog as quickly as possible. This video describes the foundational levels for a profitable blog. If you are looking for ways to turn your hobby blog into a money-making blog, we want to share with you the ULTIMATE list of advertising networks and affiliate programs because monetizing your blog is easier when the product matches your audience. Join these ad networks and post the offers that relate to your readers.Through these companies, you can find offers from major retailers like Target and Walmart and smaller companies like Answer in Genesis and Zulily. 2) Use Ad Space Networks. In my opinion, these are the ultimate resources for passive income. Essentially, you dedicate space on your blog to these companies, put in the necessary code to make the ads function (which is relatively easy), and then let it go. Sure, you can tweak what you place and where but there is nothing to repeatedly change. 3) Sign up for review networks. Review networks have a list of clients they seek to match with bloggers for sponsored posts and social media campaigns. The application process can vary. Some networks are set up like a forum while others list their needs like a job board. 5) Create your own products. 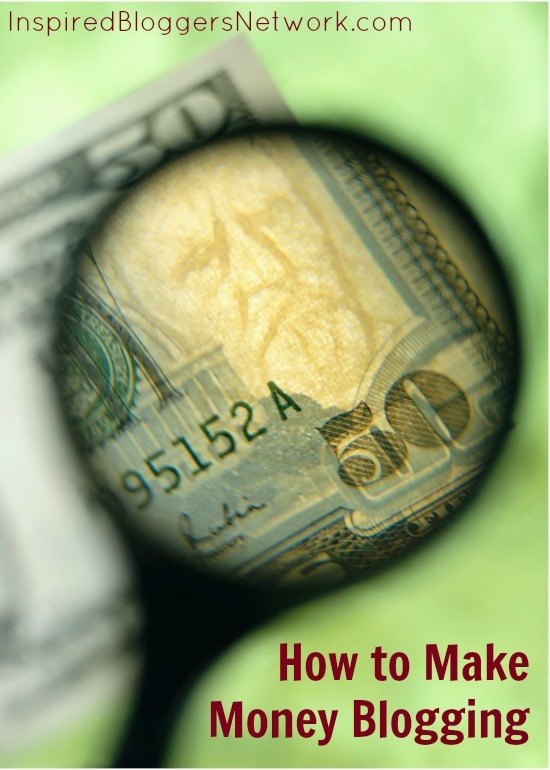 One of the most lucrative ways to make money blogging is by creating and selling your own products. Sell digital products, like ebooks, podcasts, and webinars. Offer a service, such as consulting or design. Design logos to go on physical products. Market ad space or sponsored content on your blog. 6) Sign up for Affiliate Programs. Below is a list of companies with affiliate programs. To make the most of your affiliate relationships, talk about the product often and use your affiliate link from your posts. Do not depend on sidebar ads to generate sales. If you have a product you love and want to represent the company, visit their website and look for an affiliate tab in the menu or footer. The list of affiliate opportunities is truly endless. Proving such, if you have an affiliate program and are open to new affiliates, please link up! So stop waiting around and start your blog. 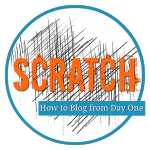 Get access to Scratch: How to Blog from Day One for just $10! Save $29! Click here to learn more about SCRATCH. Had been looking for such a blog since a few days and finally found it. Thanks for putting up all the details in one place. It will definitely help new bloggers like me. Very long list ~ thanks! This is a great and helpful post. There is a lot of information, and it answers some of the questions I had. Thank you for putting such great content all in one location! This will be super helpful as I get my blog off the ground. I appreciate all your help! Thanks for putting up all the details in one place. It’s really effective for those people whose wants to make money from their blog. I really appreciate the insight here in this post and just wanted to say thank you for posting it. Awesome article, totally inspirational, I am looking for this kind od article on the internet, finally found it in your blog () with full details, keep sharing and keep helping people. Thanks for sharing this technique through your post. Keep sharing and keep helping others . Very interesting and useful tips you have given in your post. Thanks a lot for sharing. Everyone’s favorite blogging for earning good money. Even I want to start my own blog. Can I get your email so that I can contact you for more information. so useful for me thank you so much. Wow, this article is wonderful. All information that I need is in one place. I will definitely come back to this website to learn more about different strategies to monetize my blog. I tried blogging and my views were about 145 to 150 per day. I could not get enough clicks on my ads and therefore I stopped blogging. I have a question, how many visitors (not views) per day you need for at least to make 100usd per months. I know it depends but just estimates.